Celebrate Chinese New Year in north Queensland style as we say farewell to the Dog and hello to the Pig. Multi-cultural north Queensland embraces Chinese New Year festivities with public events, banquets and special performances. 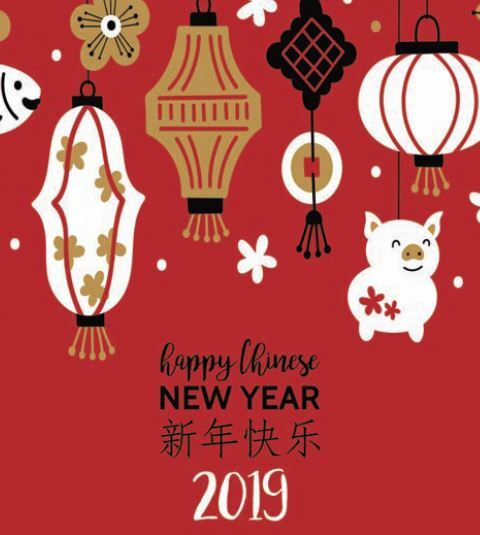 Centred around Cairns Chinese community, expect cultural performances, Chinese food tastings and activities designed to encourage everyone from diverse backgrounds to come together and celebrate. Here’s your local guide to celebrating Chinese New Year from 5 – 16 February 2019 in Tropical North Queensland. Welcome in the Year of the Pig at Cairns Esplanade Lagoon with dragon and lion dancing culminating in a spectacular evening fireworks display. Departing daily from Cairns Marlin Marina, board an authentic Chinese Junk Shaolin. 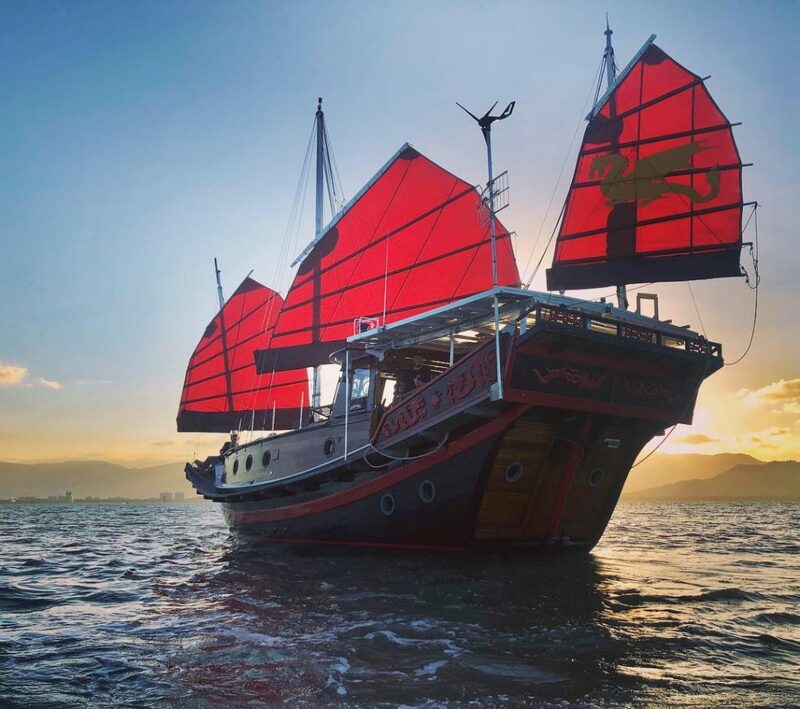 Learn about the intriguing history of this unique Chinese junk on a sunset cruise through Cairns harbour and waterways and enjoy stunning views of rainforest-clad mountains and the Cairns city waterfront. The annual Chinese New Year Street Festival takes over Grafton St, Cairns and features dragon and lion dancing, market stalls, street side food vendors, Chinese drumming, interactive art and cultural displays. For children there is a chance to feed the lion (for good luck) and Chinese craft activities. Famed Chinese performance troupe, The Spring Festival, presents Beijing Opera, dance, acrobatic displays and magic at Cairns Performing Arts Centre (CPAC). The Lantern Festival is a Chinese festival celebrated on the fifteenth day and marks the final day of the traditional Chinese New Year celebrations and will be held at the Cairns Chinese Friendship Garden in the Botanic Gardens precinct. The Lantern Festival will see revellers join together to create a sea of wishing lanterns for an unforgettable spectacle. There will be Lion & Dragon performers and music. Write your new year wishes, hopes, dreams and regrets on the lanterns provided in a visual spectacle as the sun goes down and the lake lights up. 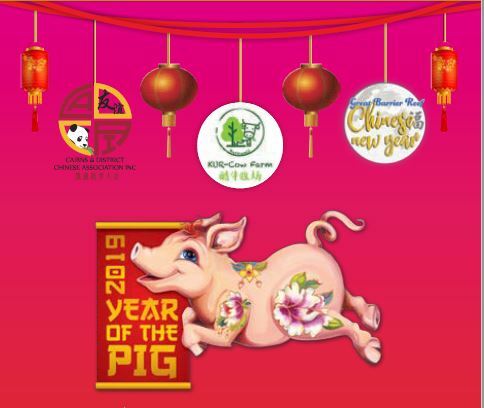 Celebrate the Year of the Pig with a special nine course banquet at Cafe China Restaurant. Three special tours depart from Cairns Museum at 3.45pm for historic walking tour through Cairns traditional China Town where you will learn about Cairns Chinese heritage. The tour offers a rare opportunity to view some Cairns Lit Sung Gong Temple Collection, an exhibition of items not usually on display.